You can have your silicone parts in 1 to 10 days, from your CAD to building a real, steel mold, and shipping your actual prototype and production parts. Don't waste your time and money on temporary aluminum tooling or non-functioning parts! Hit your deadlines with real parts from steel tooling that doesn't have a limited life or durability like aluminum. We are the only company that can take you from actual working proto parts to millions of production parts all under one roof on our 5 acre campus. Plus, we have invested with capacity in Asia, so we provide incredible value from startup to long term production. ​Rubber Industries provide the fastest prototype and production capabilities for your project. We are the fastest in the industry at first quality, actual custom silicone parts! 50 years of providing the best service, best quality, all under one ownership. Consistency of ownership leads to consistency in service, quality, and pricing! Just a few examples of the world's top brands that trust us with their most critical custom parts ... ! We'll help choose the best silicone molding process for you based on the part performance properties needed, quantities, size of the part, and cost. We aren't limited in how we approach your project because we have all silicone molding technologies in house. We match the custom silicone molding process to best match the custom molded part you are desiring to have molded. Rubber Industries Liquid Injection Molding capabilities include Liquid Silicone Rubber (LSR) process technology for both clear and colored silicone parts, which provide an expanded option to our current customers and to new prospects. Click here to see sample parts. LSR is a name for a range of two-component Liquid Silicone Rubbers used to produce elastic parts by injection molding. Because of its high thermal stability, good rubber-like properties and resistance to aging, LSR is the material of choice by many designers in automotive, electronics, appliance, medical and textile industries. The material has a wide temperature range (-94 degree F to +400 degree F) with low compression set and resistance to the damaging effects of sunlight and ozone. Typical LSR designed components include seals, insulators, diffusers, valves, gaskets and bellows -- to name just a few. Rubber Industries utilizes a dedicated, clean environment in order to appeal to the clean manufacturing requirements of various customers including medical device manufacturers of non-implantable custom molded parts and assemblies. 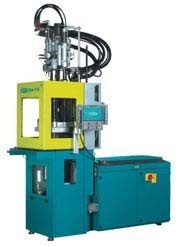 Rubber Industries is more competitive than other molders because of less overhead. Silicone is a synthetic rubber-like material that has an extensive range of applications. This versatile material is normally heat-resistant, water-repellent and thermally stable. It has low toxicity, will not support the growth of microbes, has low thermal conductivity, and can be formulated to either conduct electrical currents or insulate against them. Silicone adheres remarkably well to some substrates, but it will not stick to others. Furthermore, it is resistant to ultraviolet lights, ozone and oxygen. Because silicone has so many advantageous properties, it is widely used in numerous industries, including the consumer goods, medical, automotive, aerospace, industrial and culinary sectors. At Rubber Industries, we offer the fastest complete silicone services from proto to production and the fastest silicone production tooling. Whether you need overmolded parts, custom colors, custom silicone formulas or dual durometer materials in high volume or low volume production runs, we can help. • Seals: High-quality seals are especially critical in the automotive and aerospace industry as well as in the manufacture of certain household items. • Gaskets: Gaskets are widely used in many industries. For example, they can be found in automobile engines, pumps and transmissions as well as in a variety of household appliances. • Diaphragms: Diaphragms control the flow of gas or liquid between two locations. They are extremely common in industrial pumps and equipment. • Bellows: Bellows come in a wide range of sizes and are used in various industries. They are common components in automobiles, medical equipment, light rail vehicles and manufacturing equipment. • O-rings: O-rings can be used in dentistry, construction, aerospace or for any static application involved exposure to petrochemicals, water or steam. • Overmolded Parts: Overmolding is a technique used to bond one material to another. Custom silicone to metal bonded applications are used for a variety of purposes, including encapsulating medically implanted electronic devices, creating slip-resistant handles for tools, and insulating electrical circuitry. • Dual Durometer Products: Dual durometer means that the material has two hardness characteristics. Numerous consumer products feature this technique, including some squeegees, golf club grips, keypads and replacement windows. Why Choose Rubber Industries for Your Custom Tooling and Custom Silicone Needs? • We offer the fastest complete silicone services from proto to production in the industry. • We can provide custom tooling, fast prototyping and high volume runs from a single location. • We offer the fastest silicone production tooling available. • In-house chemists can prepare your custom silicone and custom colors quickly and accurately. • Low volume production runs are welcome. • We are experts in the design and production of custom silicone to metal bonded products. • We offer silicone injection molding and custom molded parts. Silicone injection molding is an efficient and cost-effective way to produce custom molded pieces. The process can be used for overmolding, produces minimal waste, eliminates pre-forms and reduces cycle time. • Consistent ownership provides consistency in quality, prices and customer service. We have been under the same ownership for over 50 years. • Our manufacturing facilities operate 24 hours a day and 365 days a year. 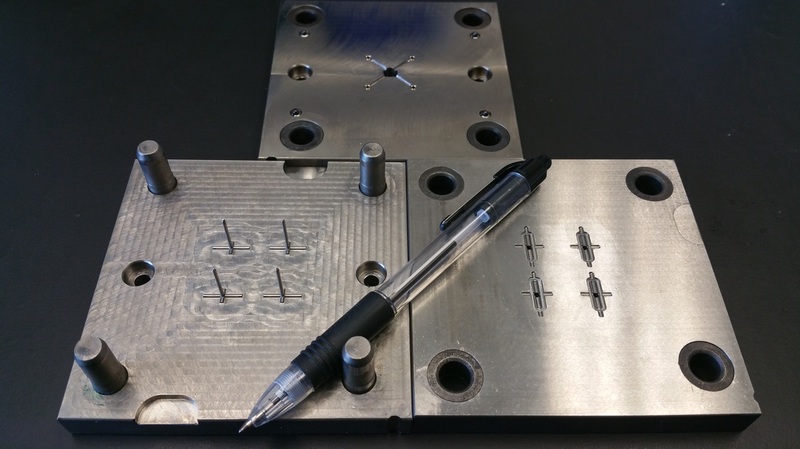 This means that you can maximize the value of your custom tooling. • We make it easy for you to submit a request for a quote on your project. You can upload your drawings and files, call us at 952-445-1320 or use the quote request form to contact us. Our work environment is kept clean to meet strict standards that some clients have for cleanliness of their orders. Major brands like Walt-Disney, Ford, DuPont and Honeywell trust our services. We have been in business for over 50 years without a change in ownership. All of our production is in-house allowing us to provide the fastest complete silicone services from proto to production. We can help you choose the best molding process for your needs as it depends on what the part's performance properties are. How Soon Can You Expect to Receive Your Shipment? We are capable of producing and shipping your silicone parts within 1-10 days. Shipping orders fast is a priority at Rubber Industries. To help make this possible, we stay open 24 x 7 x 365. Even if you need custom molded items, custom tooling, custom silicone to metal bonded items, or other similar services, our plant can deliver in 1-10 days. We provide the fastest silicone production tooling and molding services regardless of order type. We offer several types of molding, such as silicone injection, transfer molding, silicone compression molding and LSR. As experts in this industry, we can let you know what type of molding you need for a project. It doesn't matter to us if you have high volume or low volume production needs. We are happy to fulfill your request. This common part has widespread uses from household items to automotive vehicles. They are used in the aerospace industry too. If you're creating a household appliance, you may need gaskets. Other products in which this part is commonly used include transmissions, engines, and pumps. Because this part controls flow of gas or liquid, you want to ensure quality. As with all our services, we produce quality diaphragms that you can safely use in industrial pumps and other equipment. This part is commonly used in the construction, dentist, and aerospace industries. If you're working with a static application that's exposed to steam or petrochemicals, you may need o-rings too. Bellows are frequently needed in the automotive and medical industries. You'll also find them in manufacturing equipment and light rail vehicles. We provide one of the fastest silicone production tooling and molding services from silicone injection molded products to custom orders. When Do You Need Overmolded Services? An overmolded item consists of more than one material bonded together. You'll be in need of our overmolded services for any project that requires bonding one material to another. The benefit of greater functionality while reducing total system cost is an excellent feature of silicone overmolded parts. We take great care in all of our custom silicone to metal bonded items to ensure a quality product. Another benefit of working with us is we allow custom colors for clients who need their items to be a certain color. Whether you have low volume production needs or a high volume order, we are happy to help. We'll work fast to deliver the items you need in whatever color. We can also assist you in building prototypes for custom molded items. Rubber Industries offers some of the fastest complete silicone services from proto to production. Whether you need silicone injection molded items or custom silicone services, our company has the skills and equipment to deliver your order within 1-10 days. Consumer and industrial clients alike place their trust in our company every day. Contact us to discuss more details or get a quote. ​You can upload your drawings and files, call us at 952-445-1320 or use the quote request form to contact us. These fields require a rubber manufacturer that is skilled at everything from small batch orders to mass production. Our overmolding process is desirable in such things as the automotive and medical field as it allows us to securely fit rubber to other materials such as metal. We are skilled at working in the consumer and industrial fields as we have a full line of specialized tools that allow us to produce massive numbers of items with excellent quality control features. We have an in-house team of designers, chemists, and engineers who can help us make custom forms of rubbers for a specific job. We are skilled at working with everything from silicone to custom mixtures. We are able to make custom silicone that can stand up to specific stresses such as high heat or corrosive materials. The ability to produce custom silicone means that our customers can have products that will last as long as possible. These are some of the most common and useful rubber items with them featured a vast number of items. The process of making seals, gaskets, O-rings, bellows, and diaphragms can be difficult as these items generally sustain a lot of wear and tear while needing to maintain their flexible structure. We do this by using high-quality silicone that can maintain exact dimensions despite years of use. Our custom silicone to metal bonded overmolded process is a way to produce items where two very different materials are attached together. We do this by firmly attaching our custom silicon parts to metal and other materials during the molding process. Our Custom silicone to metal bonded overmolded process is very useful in industries such as the medical field as it allows doctors to protect delicate electronic items from corrosive materials and the body's immune system. Our team sets itself apart being experts at the dual durometer process. This process involves binding a rigid material such as metal to rubber. This means that we can produce a part that have the properties of both, or one that is able to protect the other items it makes contact with by having a rubber coating. Our dual durometer technique means that our customers can have items where both the rubber or metal parts will not wear out. Our team of chemists can produce rubber that is of a certain specific colors. This means that our customer have access to rubber looks good, can be exposed on consumer items, and does not need to be painted or dyed. In addition, the ability to have custom colors on rubber items makes it easy for repairmen to identify different rubber items. 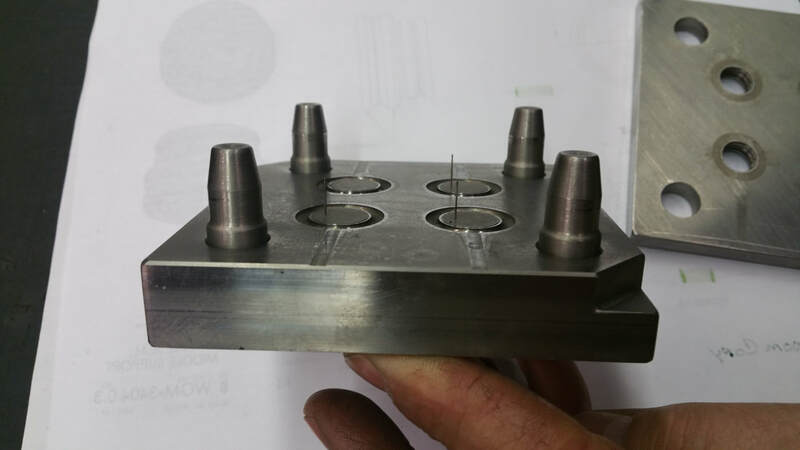 Our expertise is in custom tooling and custom molded production, which makes us one of the best companies for small batch orders. We work hard to offer our customers excellent service, and we can usually offer a quote inside of a few hours. We can then work with our customers during the design phase. Our custom tooling and custom molded silicon experience means that we have some of the fastest complete silicone services from proto to production schedule around. We can get some items together is a few days, and we can deliver custom tooling between ten and thirty days. Our rapid prototyping service involves working with our customers to improve their products. We do this by having a team of designers who can help them fix problems with an initial prototype. This combined with some of the fastest silicone production tooling, which means that we can quickly adjust prototypes to solve problems. We are skilled at delivering small batch orders, and we are able to bring a level of experience and range of production tools that many small shops are not able to offer. We offer dedicated customer service to even our smallest orders with use offering quick delivery. Our low volume production services are achieved by having CNC machines. We will generally prototype custom items with steal, and we can achieve steel prototyping inside of single day. Our low volume production seeks to have the fastest silicone production tooling with us understanding how quickly they need their product. Our high volume product methods allow us to produce tens of million items on an annual basis. We do this by using advance silicone injection techniques that allows us to produce parts rapidly. Our silicone injection machines are capable of injecting up to fifteen pounds at a single time. We have quality control technique that reduces flashing on products, and we are happy to work with our customers in order to develop a long term relationship. We work with our customers throughout the entire production process. This means that we can get their orders done quickly, and we can make sure that we get exactly what they want. We make sure that every step of the design and production process is streamlined and quick. As a result, our customers can go from the prototyping process to full production as quickly as possible. We have worked hard to increase our production with us investing million of dollars in our US factory over the past several years. Our Minneapolis campus covers five acres with it operating twenty-four hours a day, 365 days per year. We also work with our clients in Asia in order to source million of items.